(CNN)President Donald Trump on Monday publicly recommended Boeing “rebrand” its troubled 737 Max planes after two fatal crashes led to the grounding of the model and widespread criticism against the company. “What do I know about branding, maybe nothing (but I did become President! ), but if I were Boeing, I would FIX the Boeing 737 MAX, add some additional great features, & REBRAND the plane with a new name,” Trump tweeted. He continued, “No product has suffered like this one. But again, what the hell do I know?”Last month at the President’s direction, the Federal Aviation Administration ordered the planes pulled from service after two fatal crashes related to a stabilization system and faulty sensor readings. Ethiopian Airlines Flight 302 crashed the morning of March 10 after taking off from Addis Ababa on its way to Nairobi, Kenya, killing all 157 people on board. Lion Air Flight 610 crashed into the Java Sea in Indonesia in October after taking off from Jakarta. All 189 people on board died. Read MoreThe US government was one of the last in the world to ground the Boeing planes after dozens of other nations banned them amid growing pressure from lawmakers and airline labor unions to suspend flights. 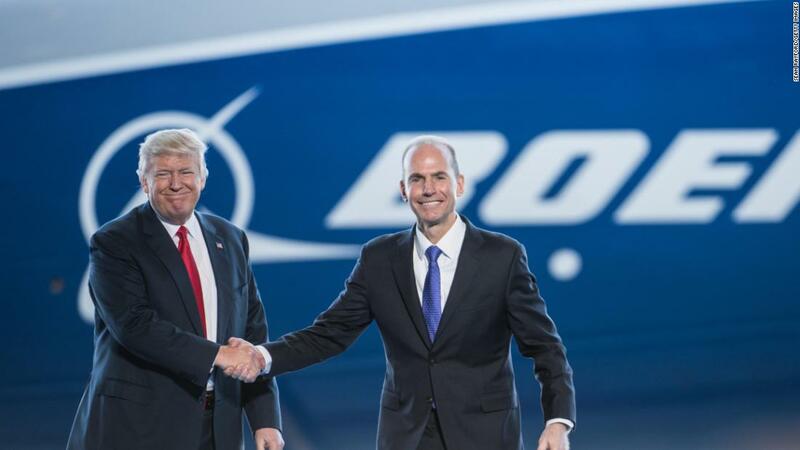 Trump has close ties to Boeing CEO Dennis Muilenburg, who has talked to Trump frequently and appeared alongside him several times during the first two years of his presidency. The causes of the crashes are still being investigated, but the focus has been on an automatic safety feature that may have forced the nose of each plane lower when it incorrectly sensed the plane was in danger of going into a stall. Boeing and the FAA said they are working on an upgrade of the 737 Max software to deal with that safety feature. Some US airlines have extended flight cancellations into mid-August, with an expectation that the plane will be recertified to fly before that deadline. Earlier Monday, first daughter and senior adviser Ivanka Trump paid tribute to the victims of the Ethiopian Air crash during a visit to Addis Ababa.